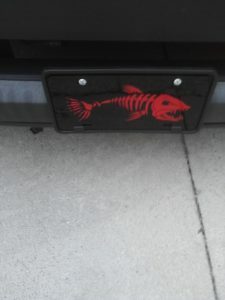 Stunning red aggressive fish on a black plate. 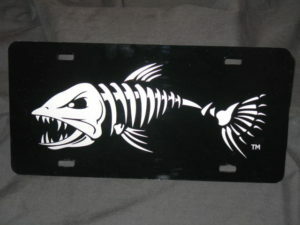 Customize your license plate with your favorite aggressive fish decal color! Ordering is simple, select your favorite decal color, and we install and ship a complete product to you, a super glossy acrylic plate helps this decal really pop on the front of your vehicle. Hardware for installation not included. 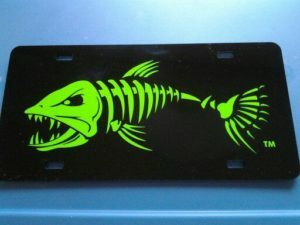 Our lime aggressive fish installed on a mirror black plate.